The new Gionee P8w is a midrange budget smartphone silently launched this 2017 by the Chinese OEM. The P8w features a 5-inch IPS display at resolution of 720 x 1280 pixels and Pixels Per Inch of 267 PPI. The handset supports 4G LTE network connectivity but there is no word on the supported LTE bands yet. 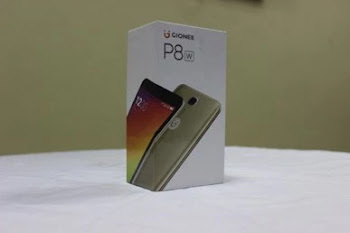 If you are looking for an affordable phone this time that prices of smartphones are on the high rate, then you might consider the Gionee PW8 but you have to tolerate the poor battery capacity of 2,300mAh (unlike Gionee). Apart from that, other features of this device includes Android 6.0 Marshmallow which it comes with out of the box. It is powered by a Mediatek Quad-core CPU clocking at 1.3 GHz. The phone has 1GB of RAM and 16GB of internal storage space which is expandable up to 128GB with an external SD card. Price in India: INR 8,185.